The man behind The Merchant in Belfast will open a new £4m hotel in Lisburn next year, creating 75 jobs. Bill Wolsey said he has applied for planning permission for a venue in Lisburn Square. The hotel, which he hopes to open next July or August, will have 50 rooms, and a “destination” ground floor bar, restaurant and cafe. Mr Wolsey is managing director of the Beannchor Group, who helped convert the Cathedral Quarter into the social hub it is today through the opening of The Merchant back in 2006. And he has promised his new hotel will help put Lisburn on the map. “There won’t be one like it in Lisburn and it will be of a standard that people can be proud of,” he said. “The intention is that this will be a 4* offering. This is a new hotel concept for Beannchor; we are currently working closely with our design team to deliver a look and feel that will reflect the needs of today’s guests. The concept, Mr Wolsey said, will favour the format of the Bullitt Hotel more so than the Merchant. He described it as modern with a “vibrant ground floor with a buzz about it”. Mr Wolsey said he chose Lisburn as the destination for his next investment as there was a void of high end accommodation. Mr Wolsey’s investment has been welcomed by MLAs and council members who believe it will provide an economic boost. 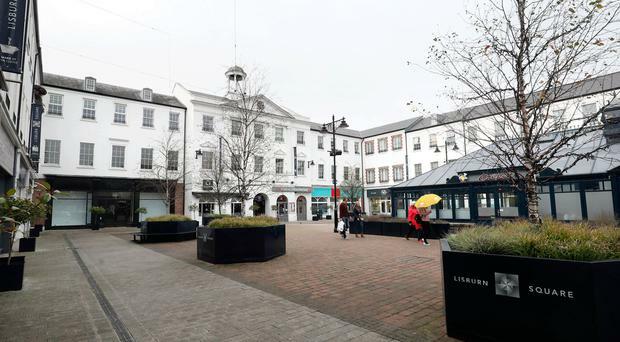 Alderman William Leathem, chair of Lisburn and Castlereagh City Council’s development committee, said the announcement demonstrates confidence in the development of Lisburn.